We are so happy to introduce our employee of the month for October, Phil Robinson! 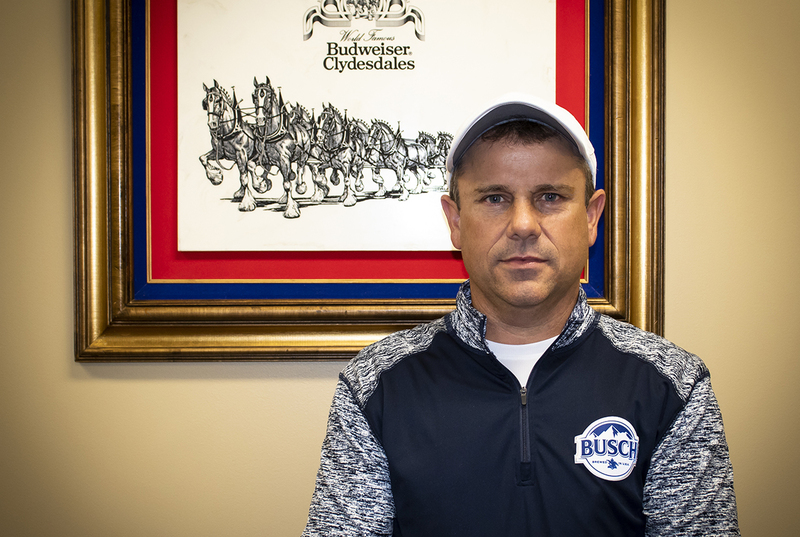 Phil is one of our team leaders and has been working for Donnewald Distributing for 10 years now. He is such a hard worker and always strives to provide our customers with the best service possible. What Phil likes most about his job is working side-by-side with his sales team and building creative displays in the market. Thank you so much Phil for your continued dedication and hard work. Go out and enjoy your favorite beer, Michelob Golden Light!